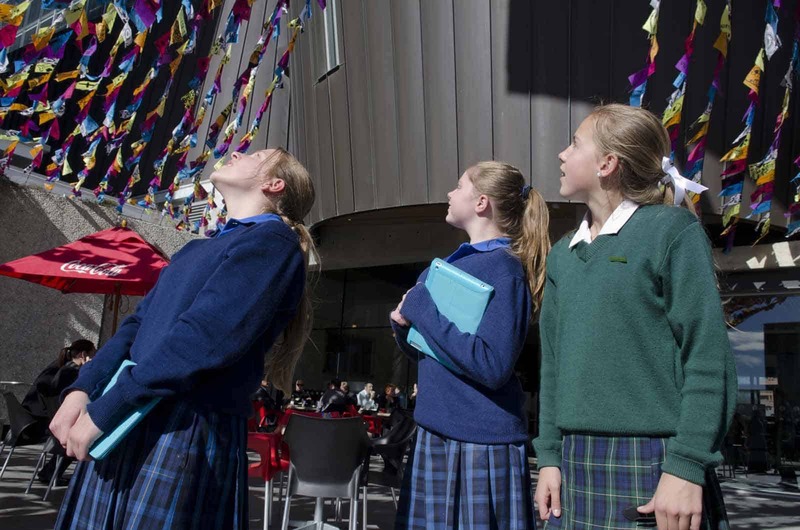 Fly Me Up To Where You Are was commissioned by the Christchurch Arts Festival in 2013. 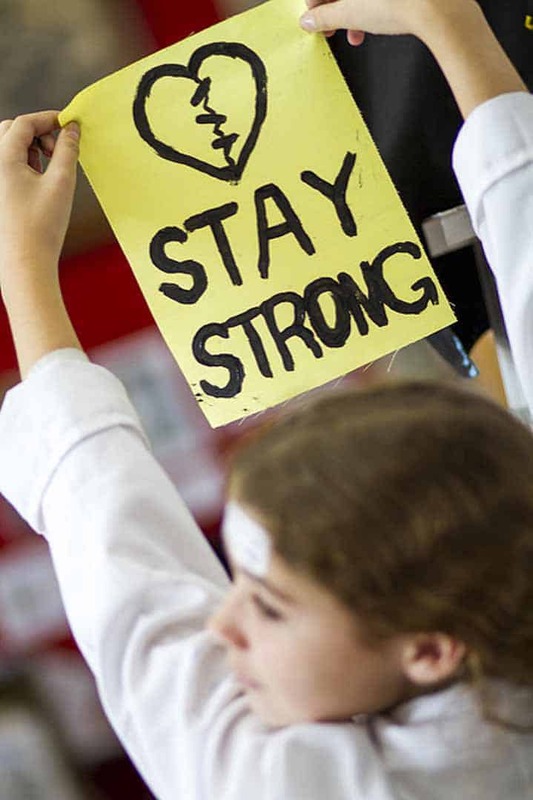 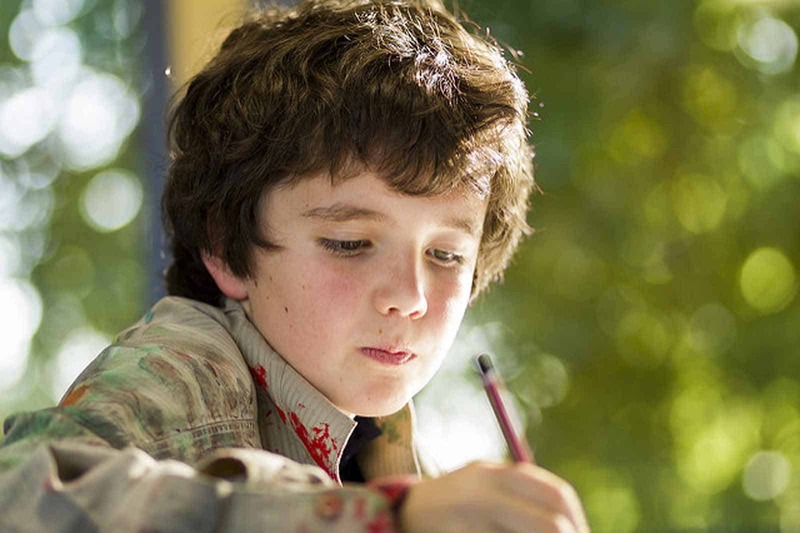 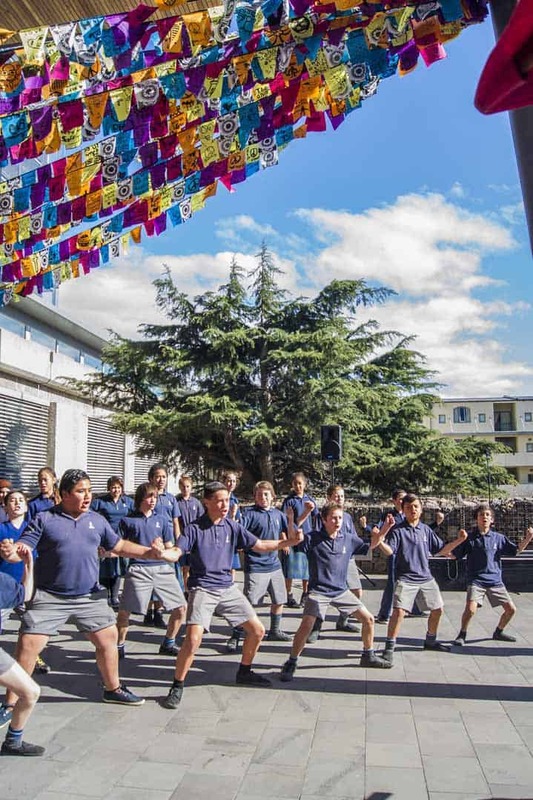 We began working in schools around Christchurch in areas that had been the most effected by the earthquake. 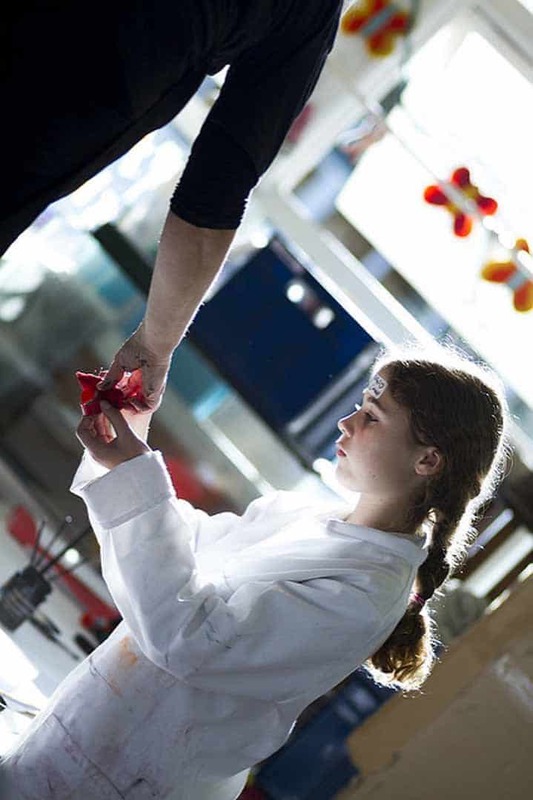 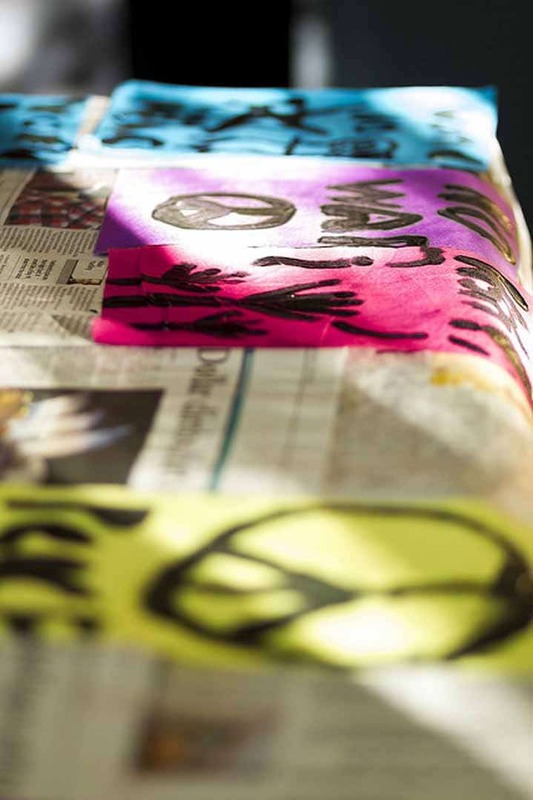 Working with children in a workshop environment which eventually culminated in the heart of the city in a riot of colour. 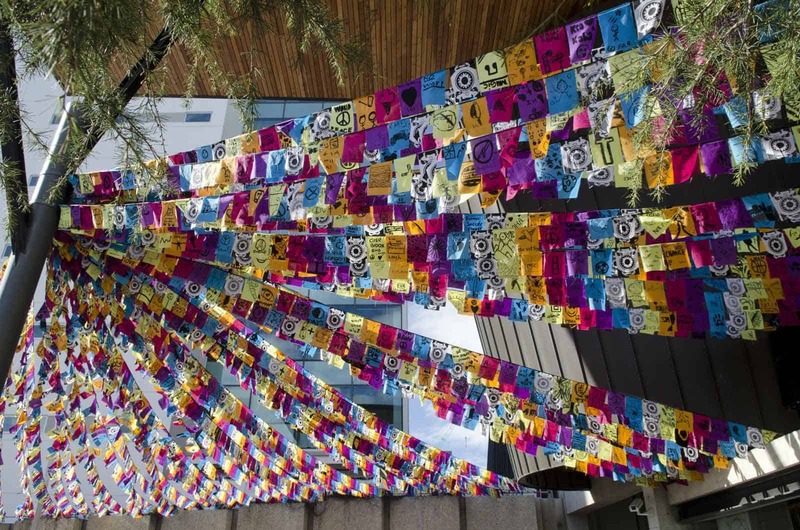 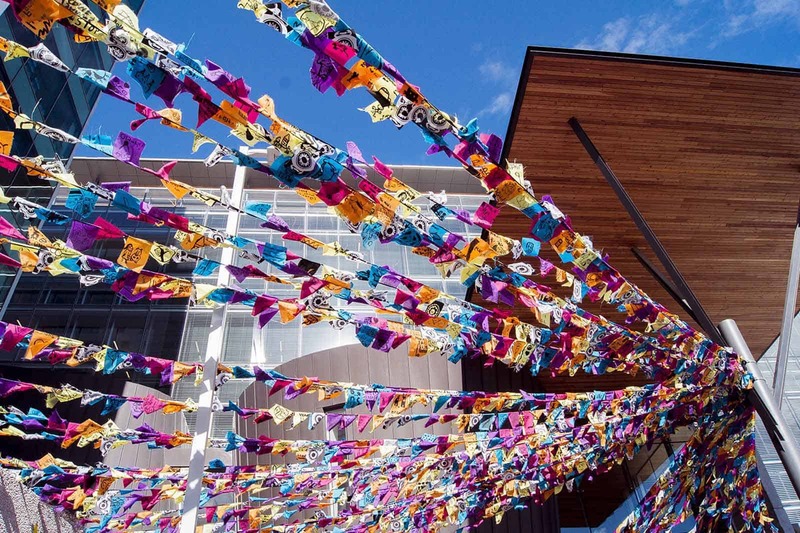 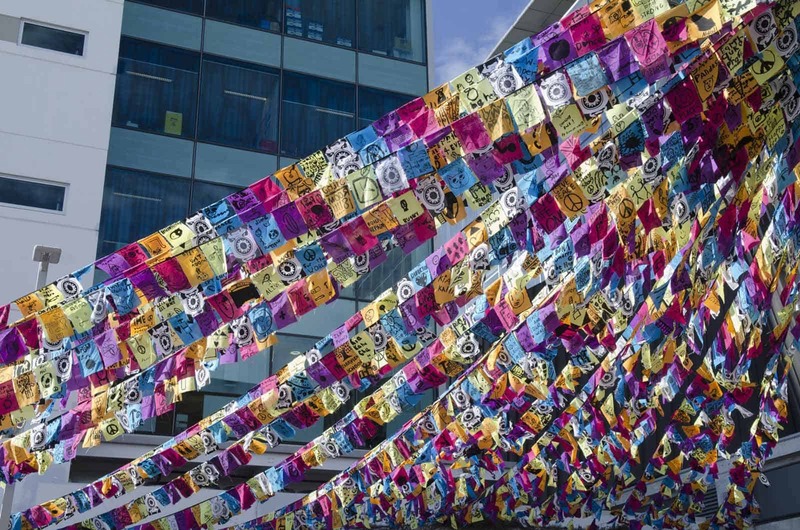 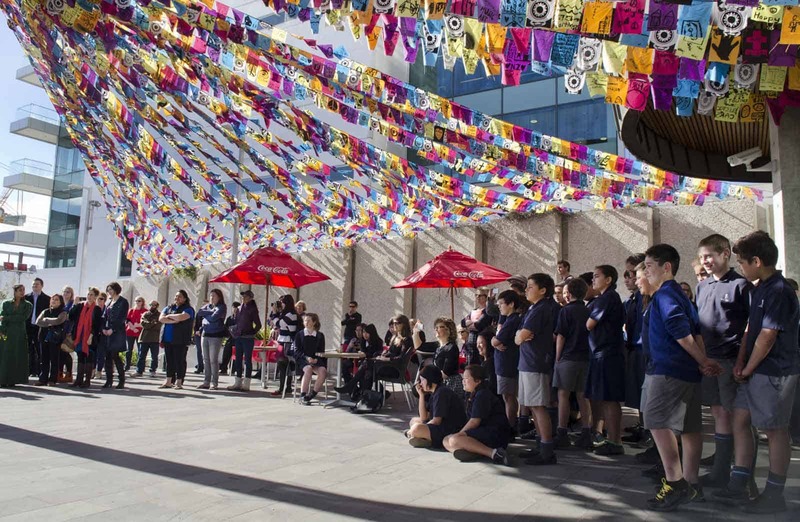 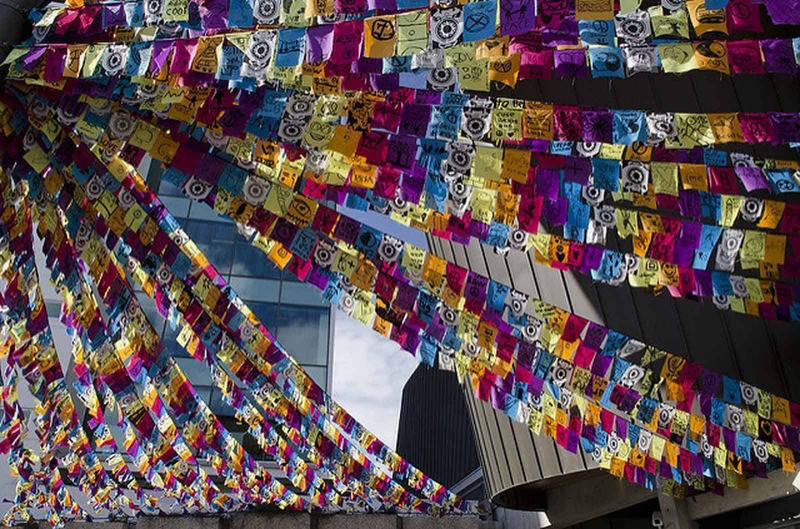 Inspired by the Tibetan tradition of prayer flags, Fly Me Up To Where You Are gathered the hopes, dreams and thoughts from 5000 of Christchurch's children who had been traumatised by the events of the earthquake. 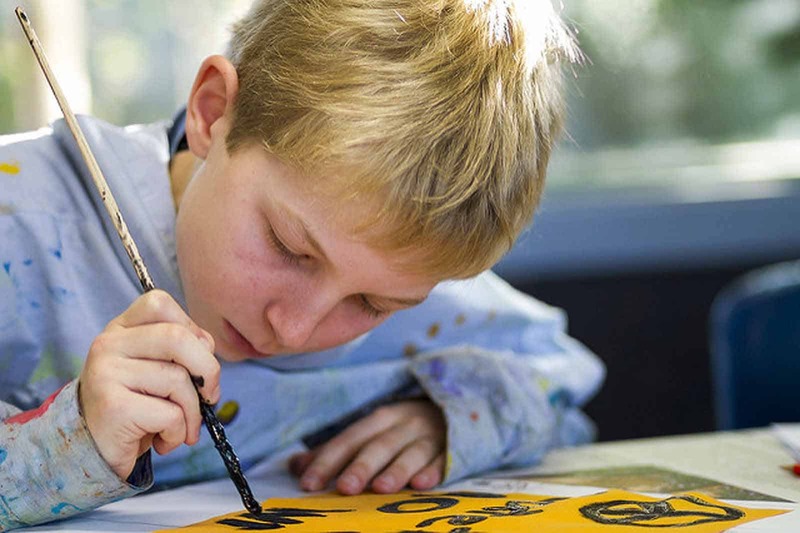 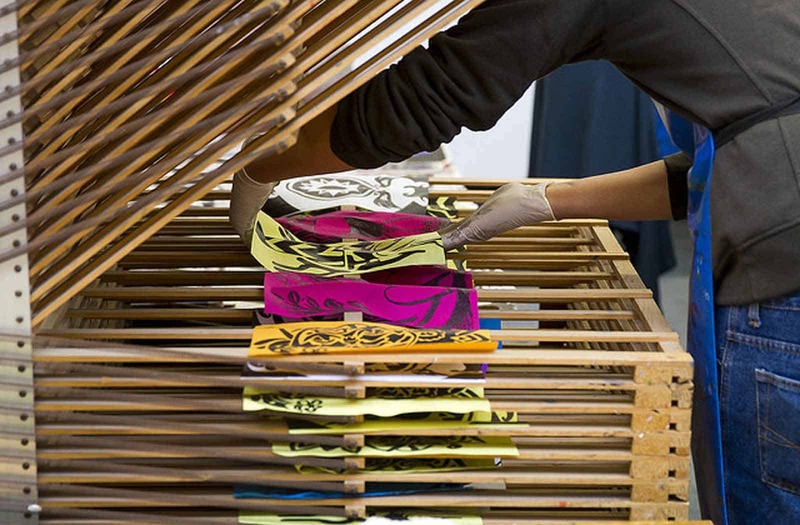 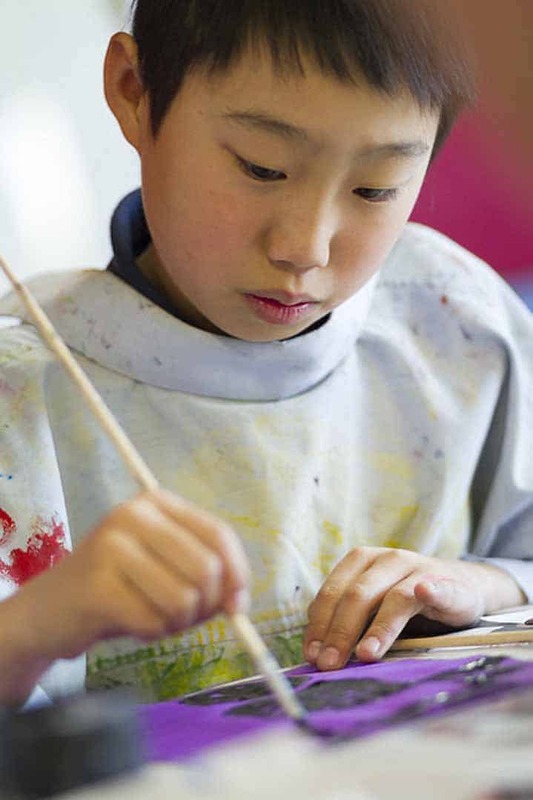 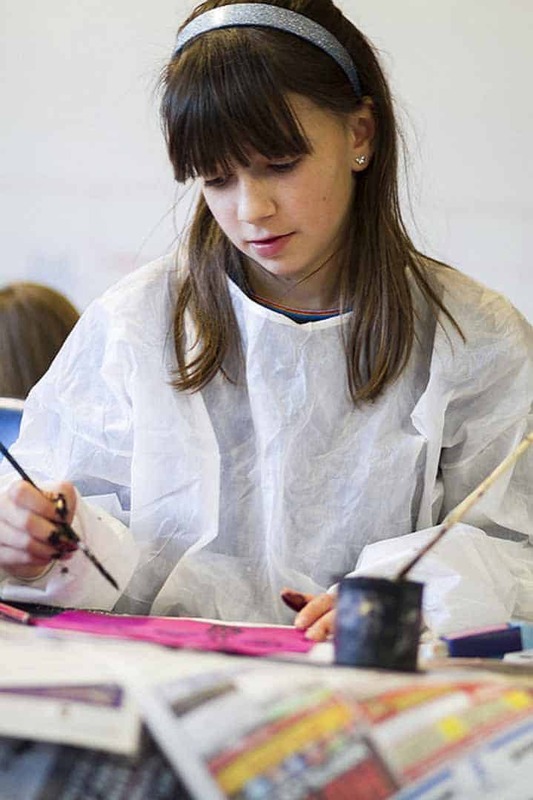 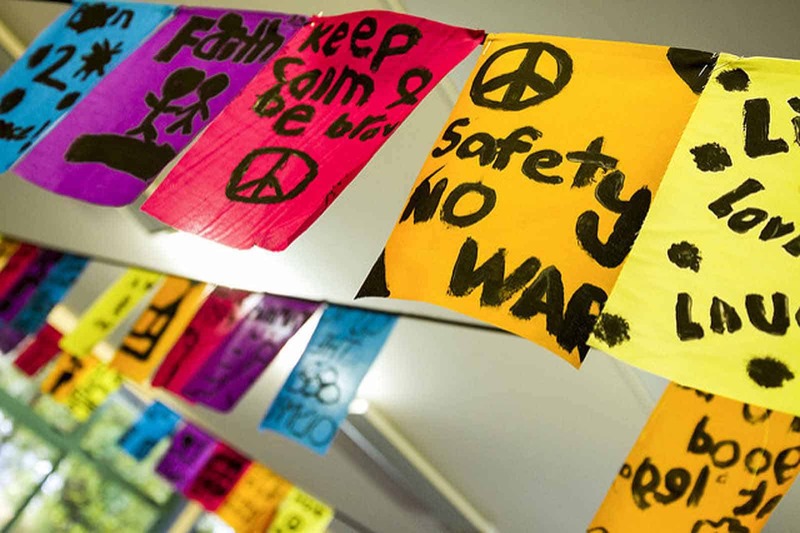 We channelled these expressions in the form of hand-painted dream flags created in the school workshops. 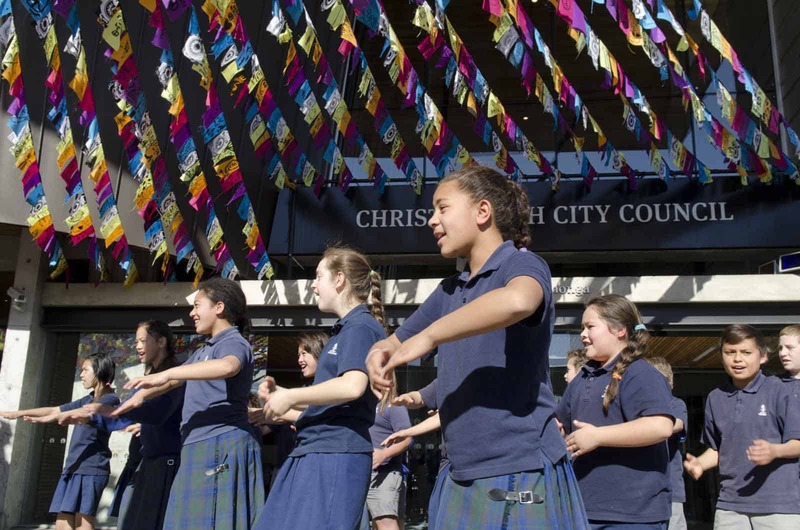 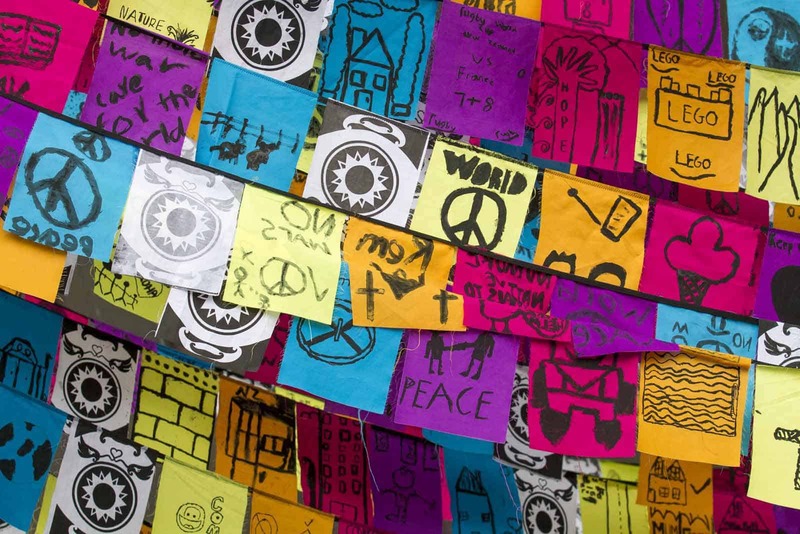 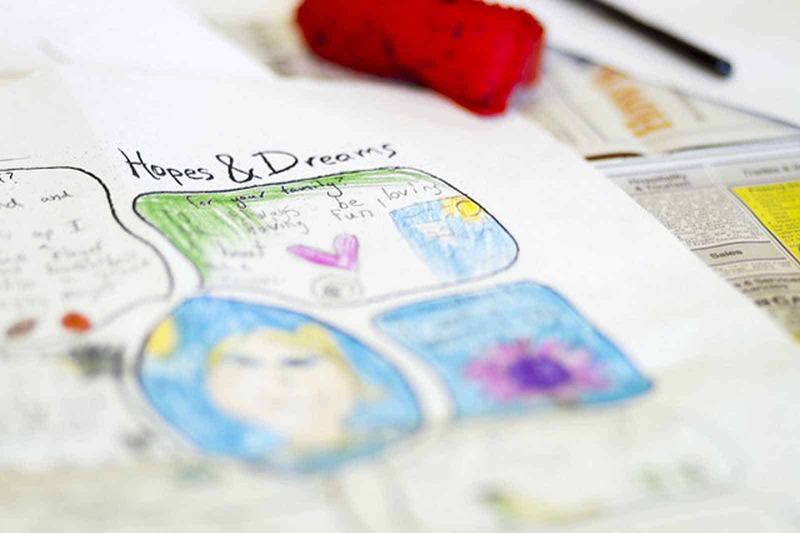 In this iteration of the project, each child created a flag expressing their personal hopes and dreams and also a flag expressing their hopes and dreams for the city of Christchurch post earthquake. 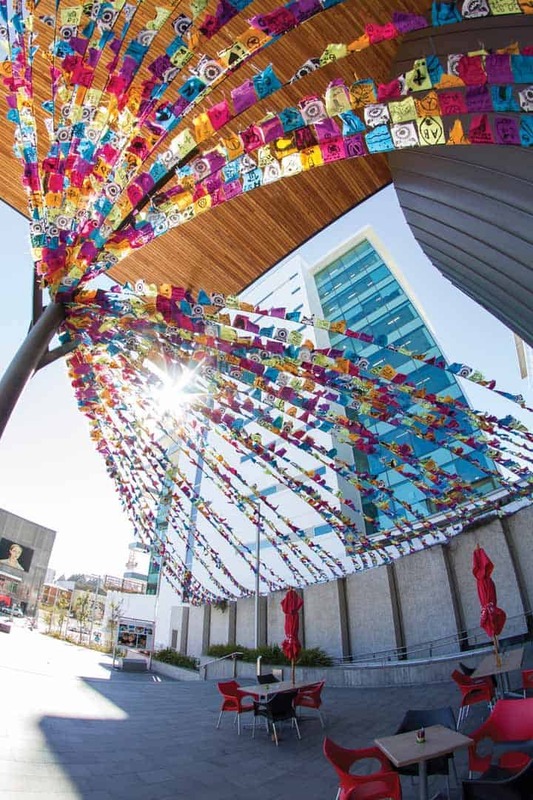 The flags united in a stunning public installation on Worchester Boulevard the pubic walkway leading up to Council Chambers and the offices of the EQC Earthquake Commission transforming part of the central city with a mass of joyous colour.This was particularly pertinent as it was post earthquake with the Canterbury Earthquake Recovery Authority offices located in the same building, bringing attention to the messages from the children regarding the rebuilding of the city. 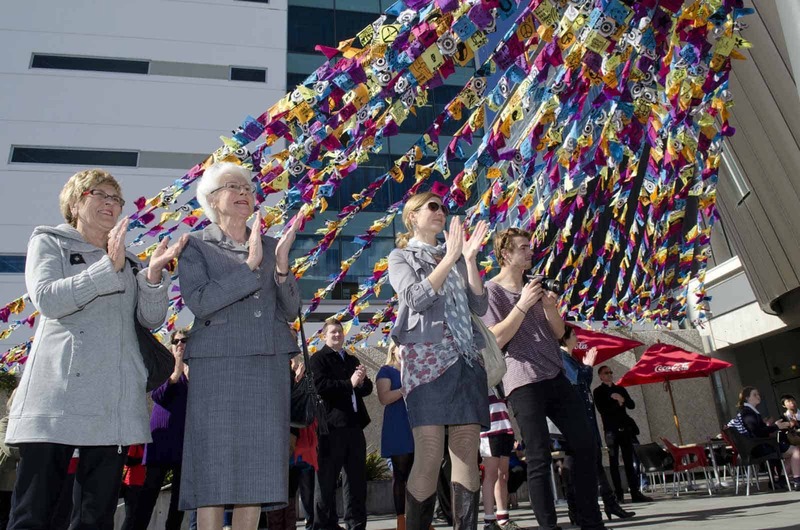 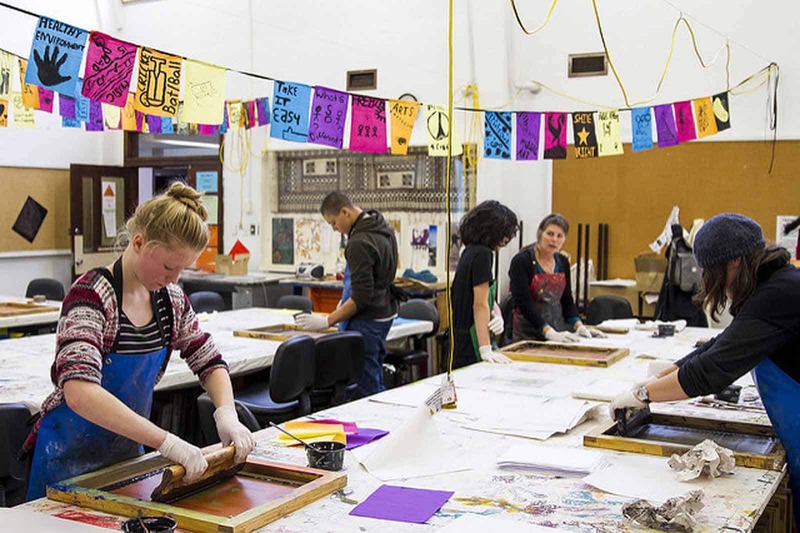 Christchurch Arts Festival is a major feature on the South Island event calendar showcasing a programme of arts and entertainment by leading international and New Zealand performers and artists. 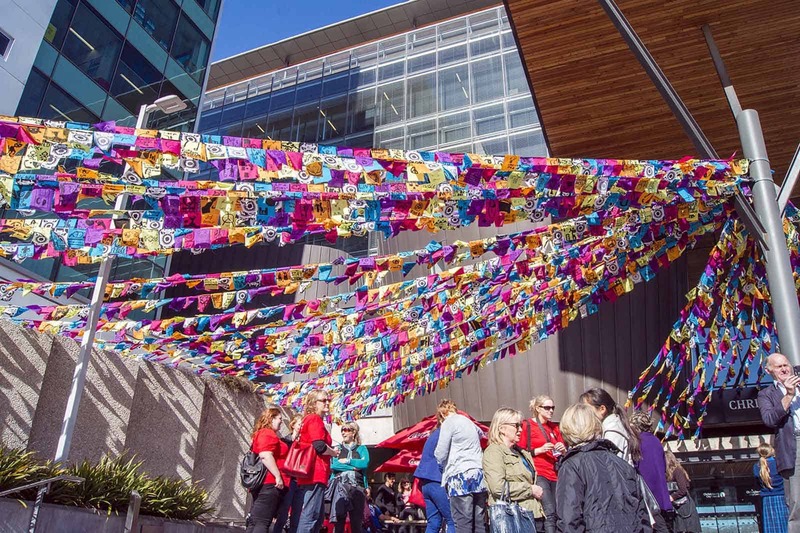 The Festival experience offers a range of theatrical enticements that lead the city out of winter and into the lightness of spring. 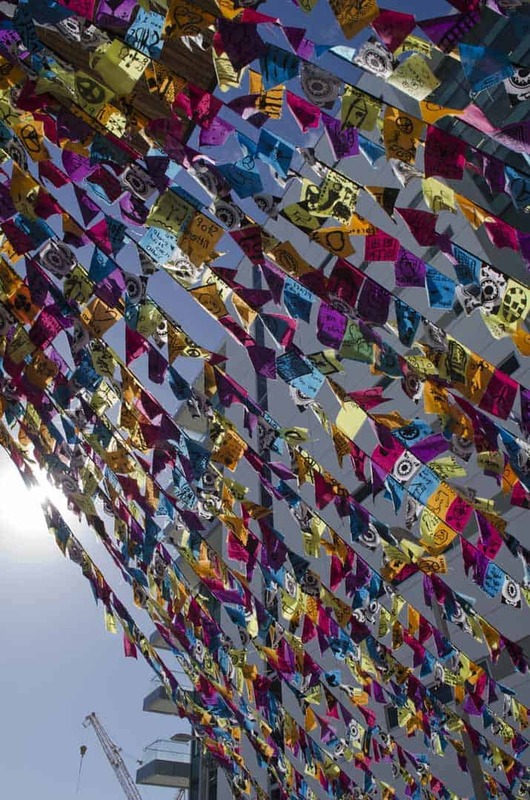 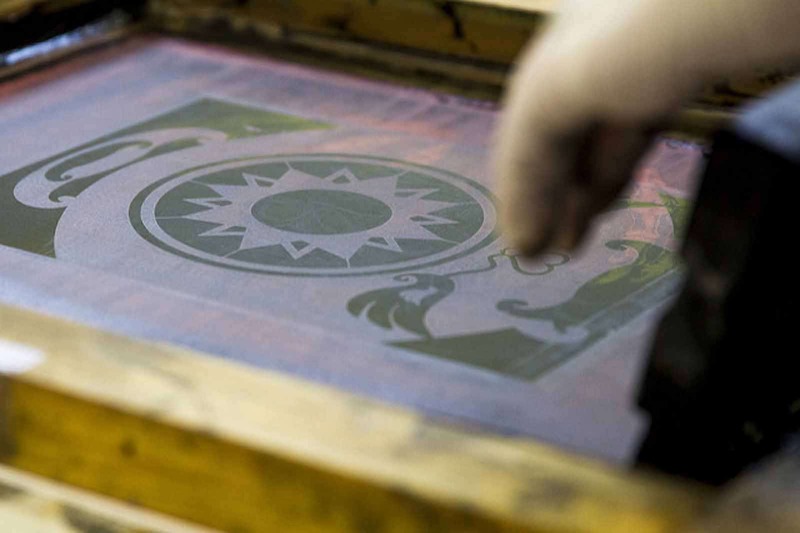 It’s a Festival promising a burst of creative energy, vitality, amusement and adventure.